The ultimate combination. 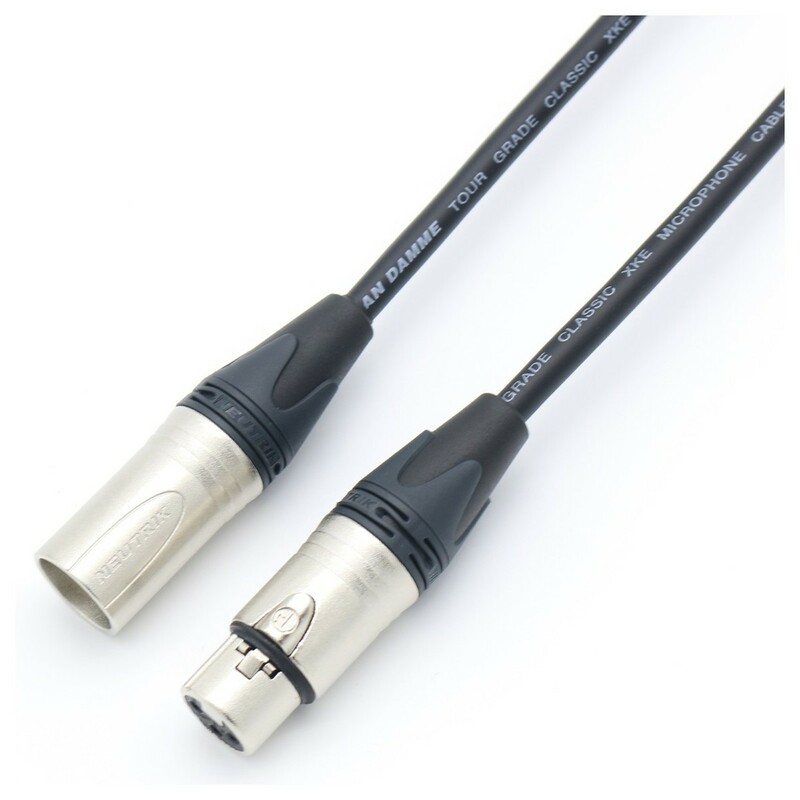 Van Damme's industry-leading cable joins a Neutrik NC3MXX 3-pole male XLR connector and an NC3FXX female XLR connector to give you a high-performance, heavy-duty link in your signal chain. The Van Damme Classic XKE Microphone Cable gives you the ultimate in flexibility and durability. Whether you're on stage or in the studio, Van Damme Cables give you performance you can trust.